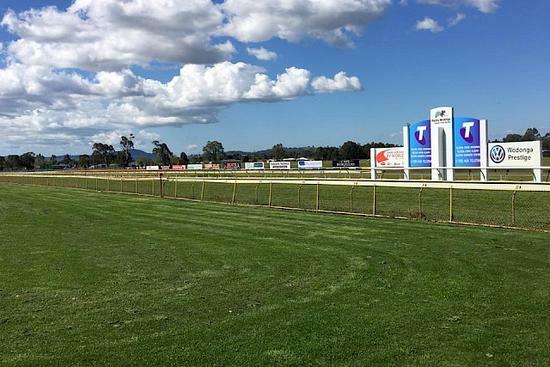 The Wodonga and District turf club has a seven race meeting on Saturday, June 16, though with current showers present it has reduced the track to a heavy 10 for racing. The Widdison stable has accepted with Collis in a three-year-old Fillies maiden plate over 1200 m with Nick Souquet aboard jumping from barrier seven. Trialled in preparation for debut last start. Was at big odds at debut, slowly away; 3rd of 12 starters at this track 3yo+ Mdn May 19 over 1200m, 2-1/4 len behind Last Boy Scout with 56.5kg. Race five on the card has a BM 64 handicap over 1400 m with Baby Jack to run second up from a spell, Nick Souquet will climb aboard jumping from barrier nine. Second-up. Freshened for 37 days. First-up after 11 months 8th of 12 runners at Echuca (Bm58) May 10 over 1312m, on slow going 4-1/2 len behind Toorak Warrior with 63.5kg. Previously second-up 8th of 11 runners at this track Wodonga Cup in Nov 2016 over 1590m, 8-1/4 len behind Loyalty Man carrying 54kg.